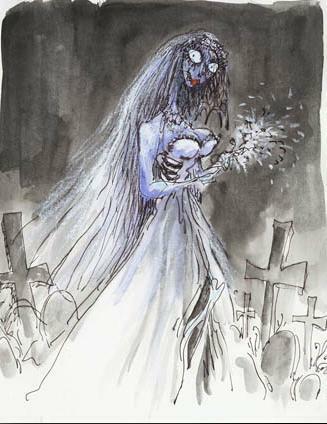 Drawn Emily. . Wallpaper and background images in the कॉर्पस ब्राइड club tagged: corpse bride icons emily tim burton drawn. I think Tim's art is always pretty inspirational. Creepy and interesting.